I love the concept of bespoke skincare so the Eye Contour Collection from vegan brand Bio-Extracts really appeals to me. The idea of this little set is to personalize the eye contour cream to suit your needs by using the 'boosts' and mixing them with the cream. 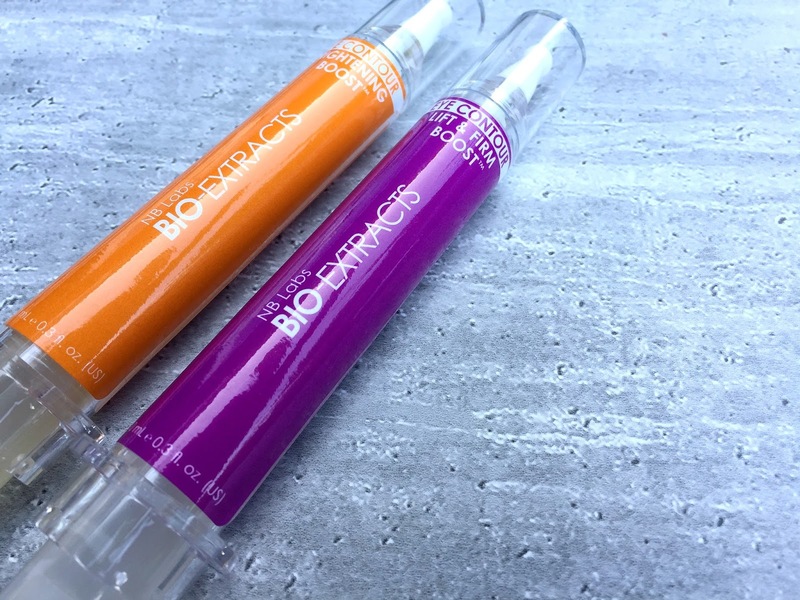 The boosts are Brightening Boost and Lift and Firm Boost and are packaged in cool syringe-style tubes that deliver a shot of serum to be mixed in with the cream. As well as smelling amazing, the cream is non-greasy and absorbs beautifully. It also has a slight yet very welcome cooling effect. 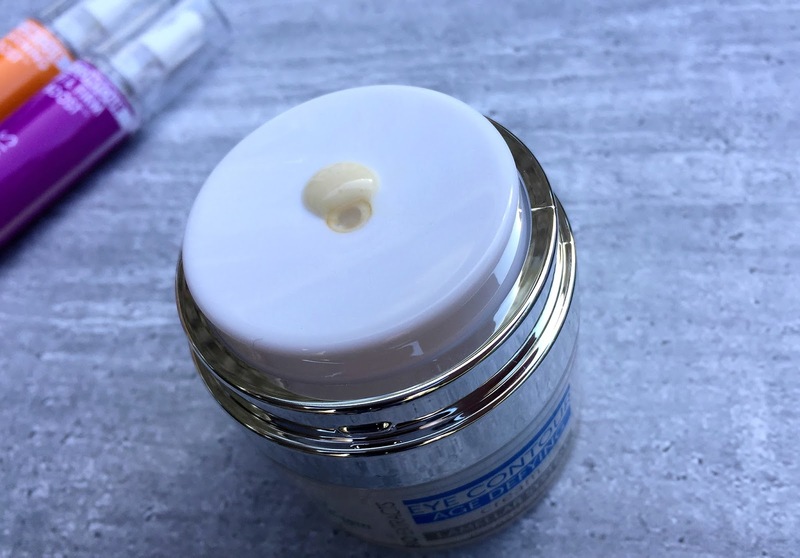 A lovely product in its own right, the cream acts as the base to which you add the booster serums- as mentioned the cream and serums are mixed on the lid before application. Back to the Boosters - thin and watery in consistency, the serums can be mixed with the cream one at a time or blended together. The Brightening Boost is recommended for use in the morning as it's designed to create a wide-awake, refreshed look. The serum contains Elderberry Flower which aids in pigmentation reduction and has anti-oxidant and anti-inflamatory properties. Designed for use at night, the Lift & Firm Boost has been formulated to increase the elasticity and firmness of the skin. The serum features Snake Flower extract (a succulent similar to Aloe) which has been shown to boost collagen. 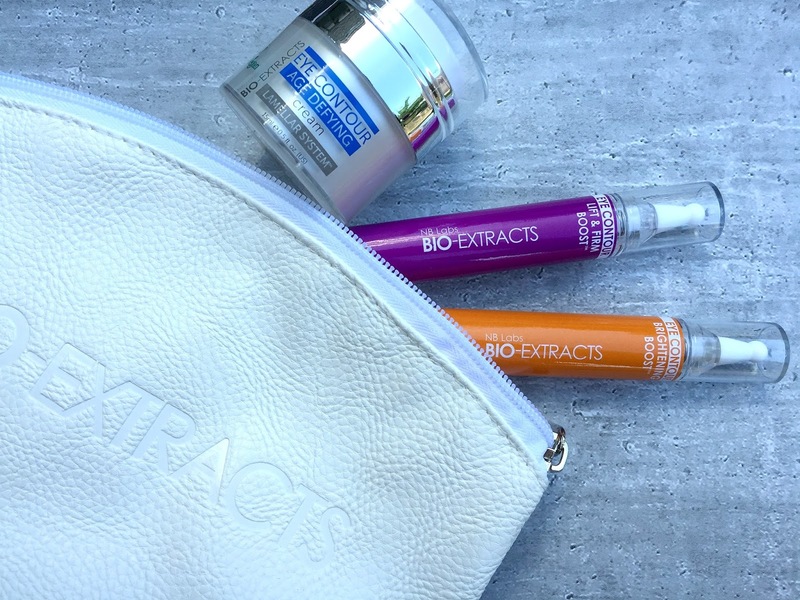 For more information about the Eye Contour Collection and the other Bio-Extracts products, visit the Bio-Extracts site.